Greetings to the entire Steemit community! Especially for the user @ alejandra23 who have catapulted to the Pitch Perfect contest until their week number 51. 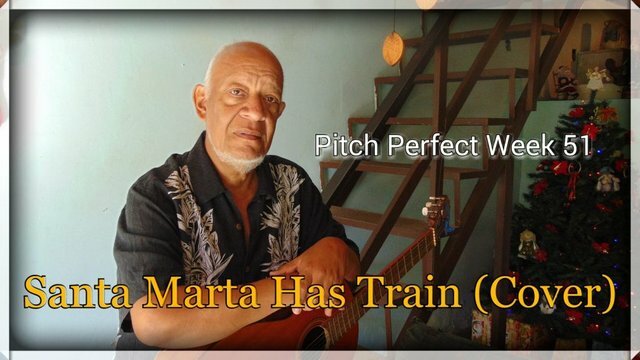 In this opportunity I will interpret for you a cover of the popular Colombian song "Santa Marta Tiene Tren", accredited to the musician Francisco Chico Bolaños and claimed from always by the interpreter Manuel Medina Moscote, both great accordion players of the vallenato. 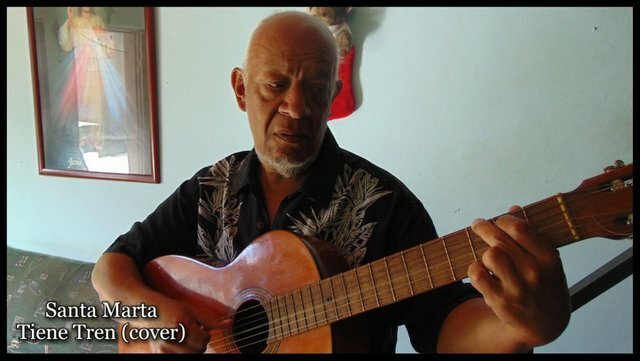 This fun song tells the story of the Spanish Don Joaquín de Mier and Benitez who bought a train on a trip to France to carry out crops from his farm dedicated to sugarcane and bananas to the town of Santa Marta in the mid-nineteenth century , but they never gave him the permits to build the roads for it. The first recording of the song was performed in Argentina by Eduardo Arman's orchestra in 1945 under the Odeón label. The following year he recorded in his original Colombia under the label Fuentes with the singer Pedro Collazo and the Orquesta del Caribe by Lucho Bermúdez. The video and photographs were captured with a Samsung Galaxy S5 Neo and edited with the Vimady 2018 and Photo Director 2018 applications respectively. Thank you all for the attention given to this publication and that's why we'll continue to count on your digital presence for next week, until then!